Valentine’s Day is by no means the busiest times of year for police officers looking for drunk drivers. However, it is one of those nights every year when you may be tempted to have too much wine or an extra cocktail before the drive home. When you are out enjoying a romantic evening with your significant other, it is easy to splurge on the bottle instead of a glass or take in a nightcap before ending the evening. Unfortunately, this puts you at risk for driving with a blood alcohol content over the legal limit of .08% and causing an accident. Even if you keep the drinking to a minimum this Valentine’s Day, you may want to consider other drunk drivers on the roads and avoid driving. Book a stay at a hotel for the night: If you want to deal with traffic as little as possible, which is always a great idea in San Francisco, consider booking a stay at a hotel with a well-reviewed restaurant. After checking in, you can enjoy a delicious meal and as many drinks as you want before you simply head back to your room. You may do your best to avoid a DUI on Valentine’s Day, but you cannot entirely avoid being hit by a drunk driver. If you and your date are injured in a car accident caused by someone who had been drinking that night, you should speak with a personal injury attorney as soon as possible. If the other driver blew over a .08% or was ticketed for a DUI, this can be used as evidence of negligence and bolster your claim for recovery compensation. 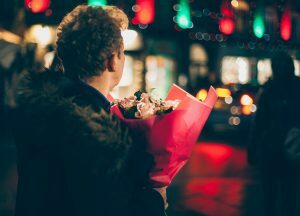 If your Valentine’s Day was ruined after you were hurt in an alcohol-related accident, call Brod Law Firm right away at (800) 427-7020 to learn about your legal options. You may need to file an insurance claim with the other driver’s auto insurance provider or file a personal injury lawsuit in court. We can analyze your situation, determine fault, and help you seek compensation for your injuries, including medical expenses, lost wages, and pain and suffering. Contact us today to schedule a free consultation.